Low-Cost precision digital luxmeter, Illuminance meter, Luminance meter, Reflection meter, Präzisions-Digitalluxmeter, Luxmeter, Digitalluxmeter, Digital Luxmeter, Beleuchtungsstärkemesser, Leuchtdichtemesser, Farbmessgerät, Colorimeter, Light meter, Goniophotometer, by Prof. Dr. Peter Marx. Born in Berlin-Lichterfelde on March 18, 1939. 1958 Abitur (school leaving exam and university entrance qualification) at Lilienthal High School in Berlin-Lichterfelde. Study of electrical engineering and lighting engineering at the Technical University of Berlin. 1966 degree as Diplom-Ingenieur (Master-Degree). 1967 till 1973 assistant lecturer at the institute of lighting engineering, TU Berlin and consultant for lighting technology. 1974 examination for a doctorate in engineering (PhD). 1974 till 1977 lecturer of electronic measurement technology, since 1977 university teacher (Professor) for electronic measurement technology, faculty for electrical engineering and precision engineering at the University of Applied Sciences, Luxemburger Str. 10, 13353 Berlin. Supervisor of approx. 140 diploma-works of students about electronic measurement technology, electronic and lighting engineering. More than 70 publications, several patent applications, patentee on 5 inventions. Attendance at several national and international conferences in many European countries and oversees, i.a. in the US, Argentina, Japan, India, Korea and Iceland, including over 30 lectures. Repeated attendance at the Forschungsmarkt (research market) Berlin of the Hannover Fair as representative of the University of Applied Sciences Berlin, exhibits on photometric measuring instruments, dimmable electronic HF-ballasts for lamps and light-emitting diodes, electronic room-climate analysis instruments, electronic auxiliary engines for bicycles, tricycles and boats, stereoscopic display-screen (3-D), radio controls for spotlights and lighting systems. In 1967 development of a digital illuminance-meter ensuing founding shareholder of Optronik GmbH (Ltd.), producer of optoelectronic and lighting measuring systems. Development of a digital power meter for lamps as well as a digital colour measuring system. Implementation of several technology-transfer-projects: laboratory planning and construction of computer-controlled luminous flux and luminous intensity distribution measuring systems (goniophotometers) for about 20 factories of the lighting industry in germany. Development of a Miniluxmeter to measure illuminance, luminance and reflection-factor in cooperation with Chinese partner Prof. Ye Guanrong of Zhejiang University in Hangzhou . Prof. Ye as well is vice-president of the National Chinese Lighting Engineering Society. 1991 Berlin Environmental Award for the development of new dimmable electronic ballast for fluorescent lamps, handed over by the environmental minister. Scientific-technical consultant and writer of the german magazine LICHT. Several reports on national and international lighting conventions as well as publications concerning lighting measuring systems, electronic lamp appliances and business portraits. Since 1996 member of the board of the Semperlux AG, Berlin (light fixture manufacturer). Member of the German National Lighting Engineering Society (LiTG) since 1965, LiTG auditor since 1996, member of the CIE's German National Committee (DNK) and member of the DfWG, collaborator on the DIN-standardization-committee for lighting engineering FNL 3 Photometry. Membership in certain supporting organizations: Institute for lighting engineering and electronics, TU Berlin, Institute for lighting engineering, TU Ilmenau, TSB technology foundation Berlin, juror for the annual 10.000 transfer award WissensWerte for an outstanding scientific innovation. Member of the board (treasurer) of LiTG since 1.1.2001. 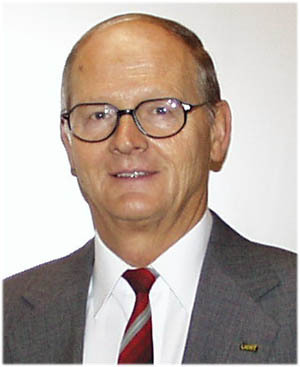 Owner of MX-ELEKTRONIK ( www.mx-electronic.com ), manufacturer of electronic and lighting systems. Expert (surveyor) on electronic measuring and lighting technology.